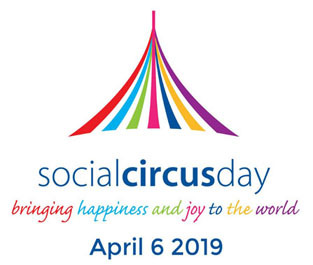 The Social Circus Day is a series of social circus events to bring joy and laughter to thousands of communities around the world. 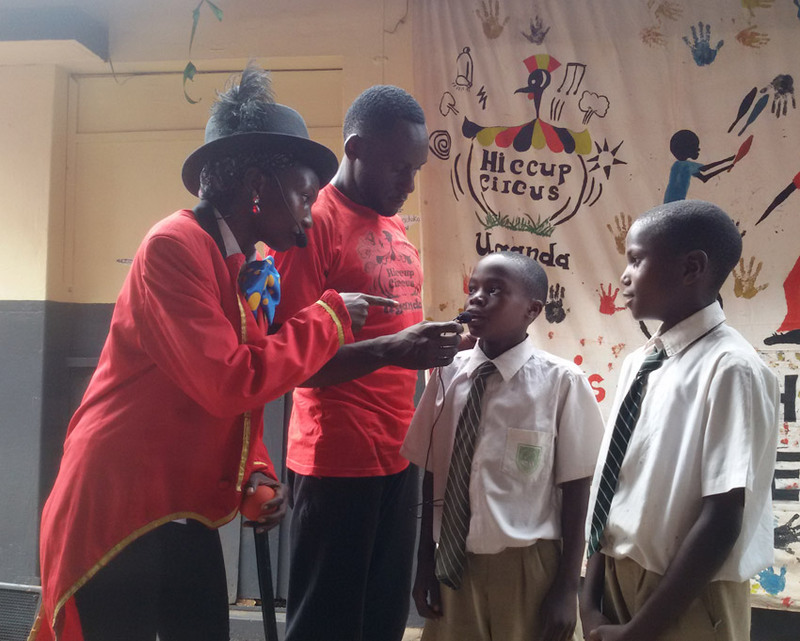 Hiccup Circus Uganda – thanks to its generous donors – in order to create a very big tidal wave of joy and laughter to Kampala communities had performed in two schools – S. Peter’s and Nakasero institutes that host in total more than of 5.000 pupils – with three free celebrating shows. 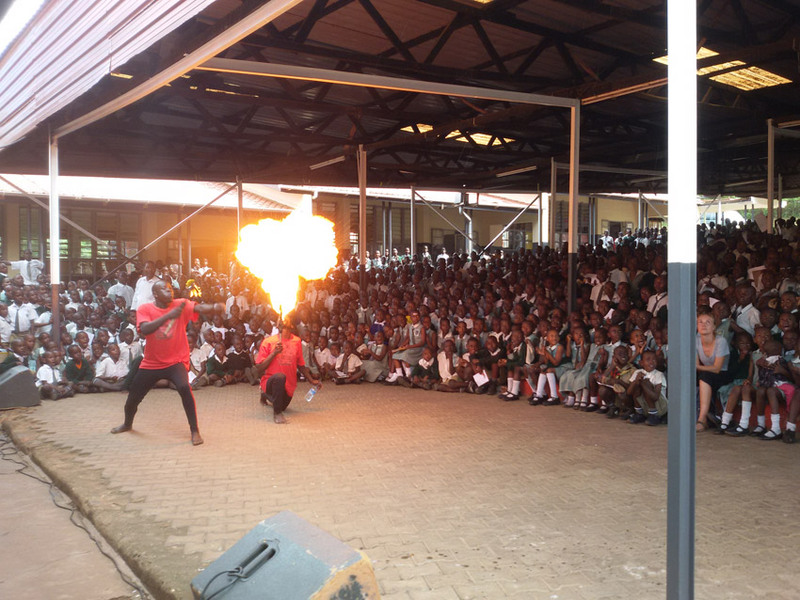 As usual we did our best in mixing entertainment and education enlightening the huge audience with tips about cholera prevention and waste management… two recurrent and linked problems that affect the Uganda capital Kampala. Driven by rapid urbanization and growing populations, global annual waste generation is expected to jump to 3.4 billion tons over the next 30 years, up from 2.01 billion tonnes in 2016 – World Bank. With roughly 1.3 to 4 millions cases every year, cholera kills about 143.000 people worldwide. 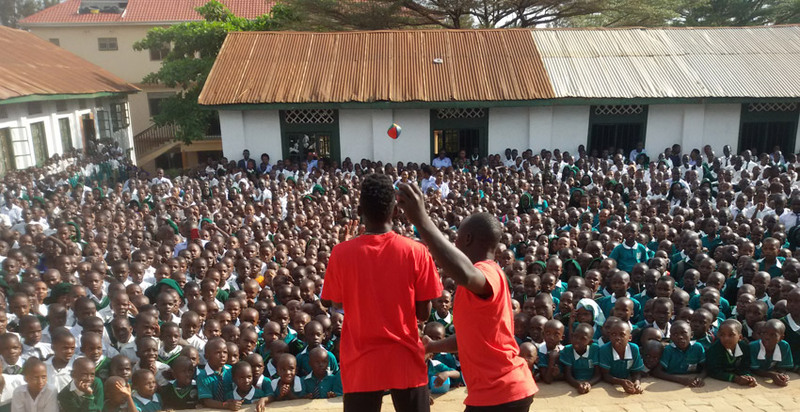 With a funny approach HCU artists talked about the cholera outbreak and how pupils can stay safe with simple and inexpensive habits as: improved hygiene practices for water, food and the importance of always wash hands most especially after visiting latrine. We also talked about proper waste management around the city as this help to reduce cholera cases. Kampala has many drainage channels blocked by uncollected garbage (mainly plastic bags and bottles) and when it rains, the city floods. 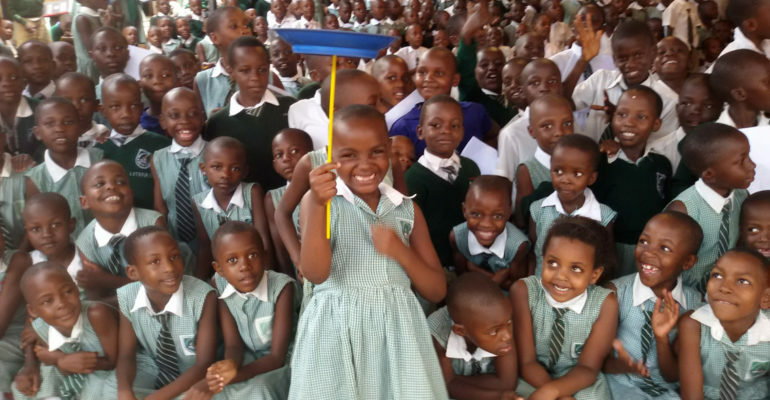 A lot of contaminated water is escaping from pit latrines to nearby communities, into homes and to open water fetching points, exposing people to the risks of coming into contact with faeces and other waste that carries the cholera bacteria. All this was possible thanks to two friends and long time supporter Eugenio and Roberta… THANK YOU!